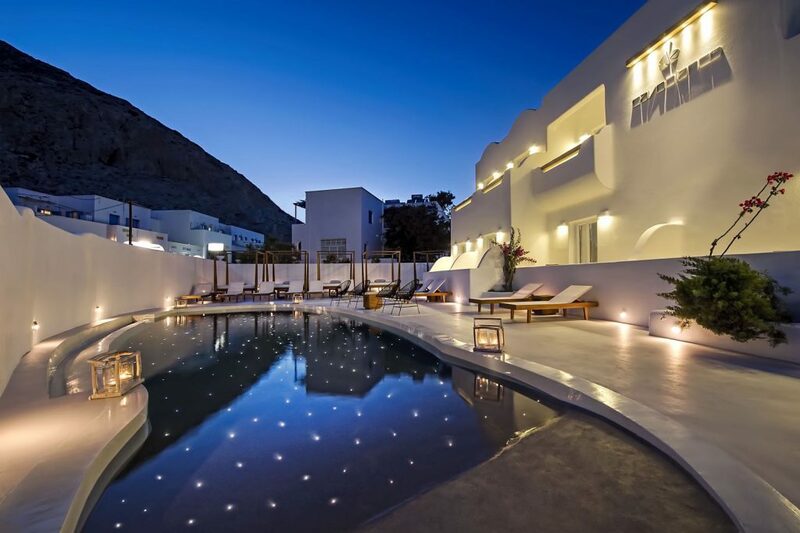 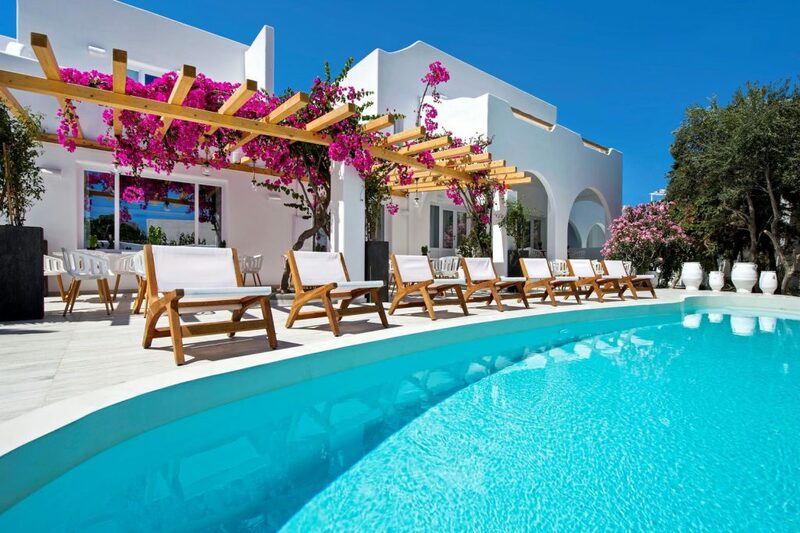 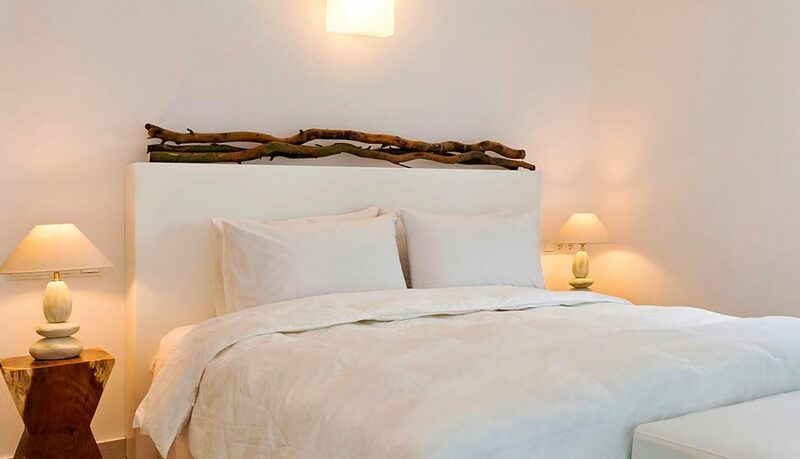 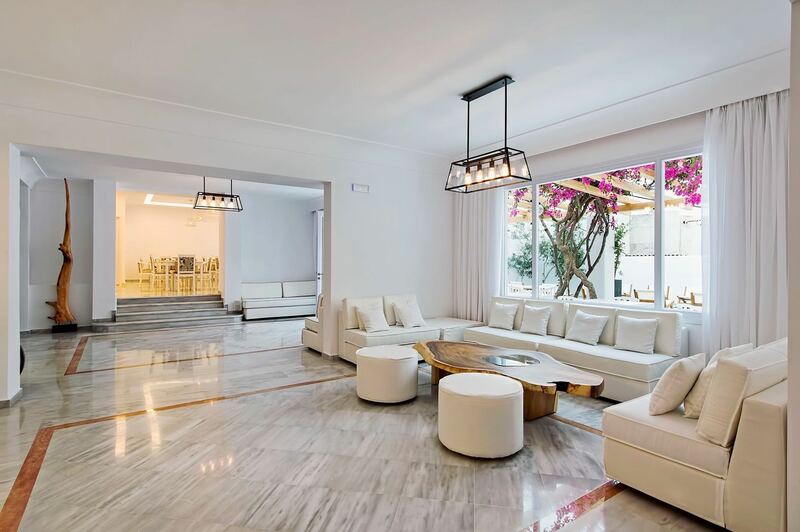 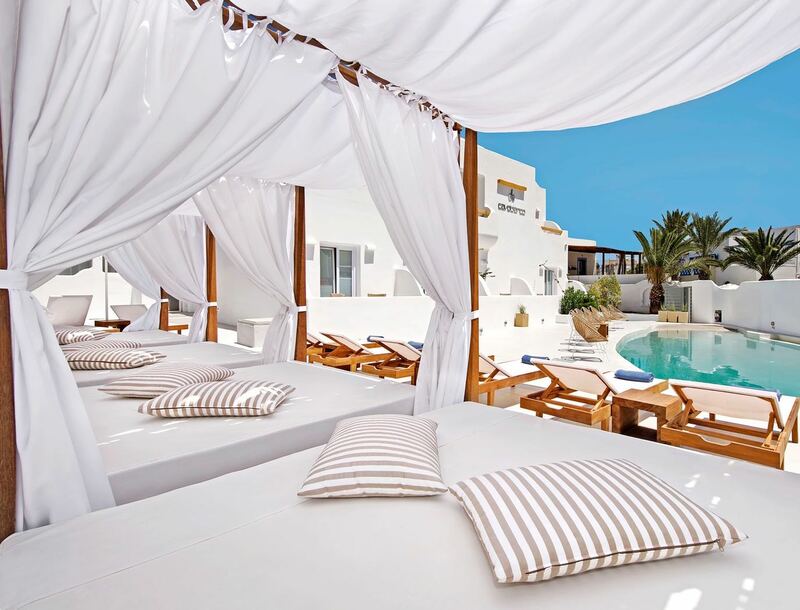 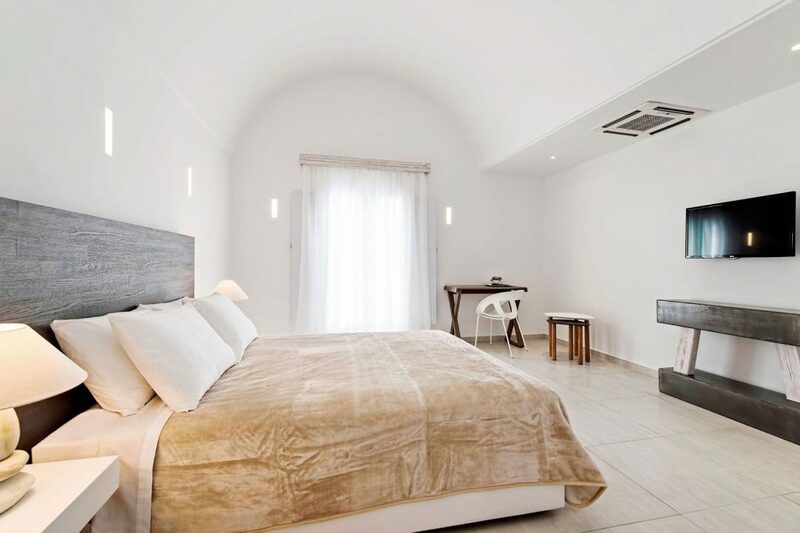 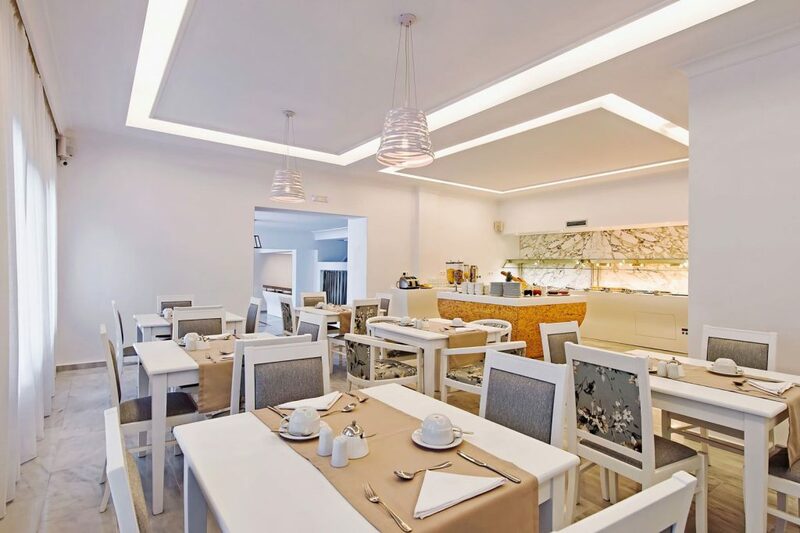 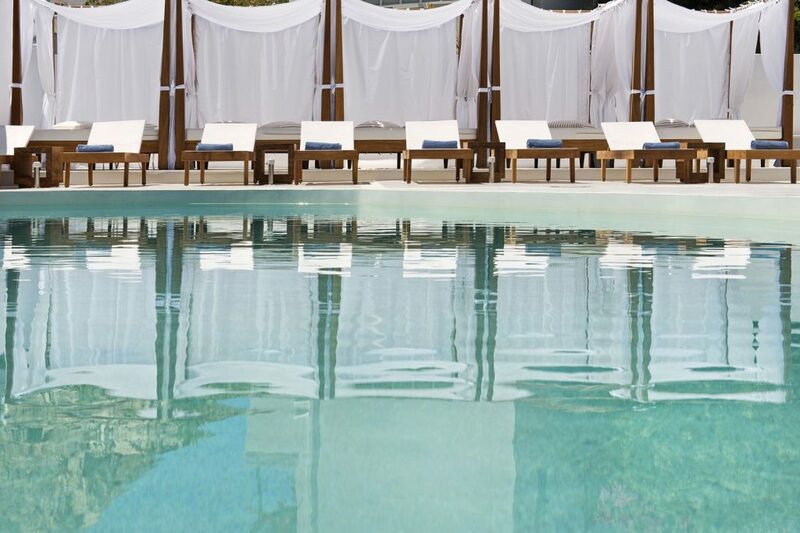 Cavo Bianco Kamari is a stylish boutique hotel located in the center of the resort and just a 5-minute walk from the best beach area of Kamari. 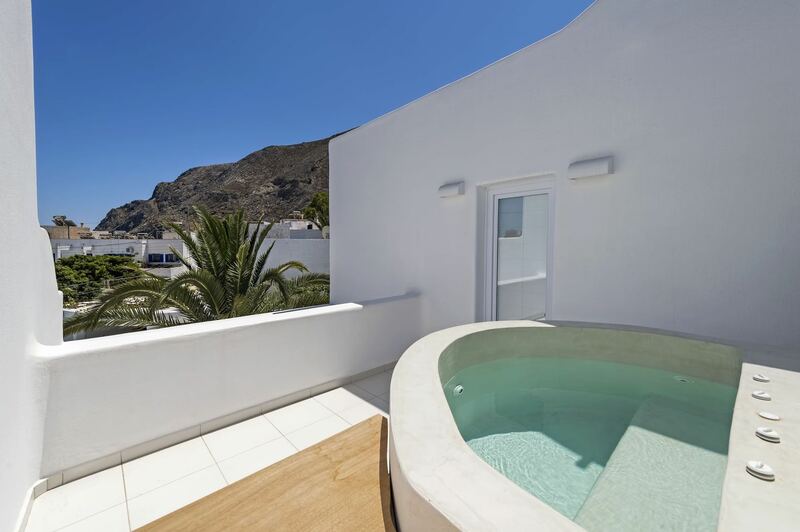 Opened in the summer of 2016 this quality hotel offers guests a number of room options including luxury suites with private jacuzzi tubs. This quality Boutique hotel is a great choice for those that would like to be near the beach and also have lots of resort facilities close by with first class hotel facilities. 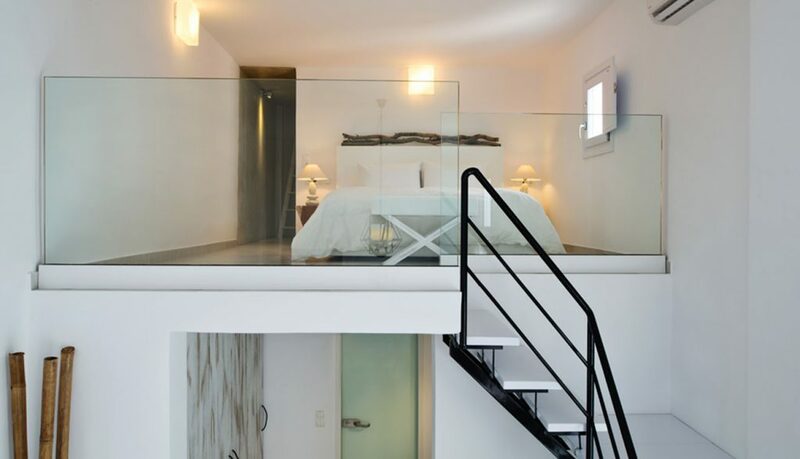 Room 20sq mt with well-fitted bathroom, shower or bathtub. 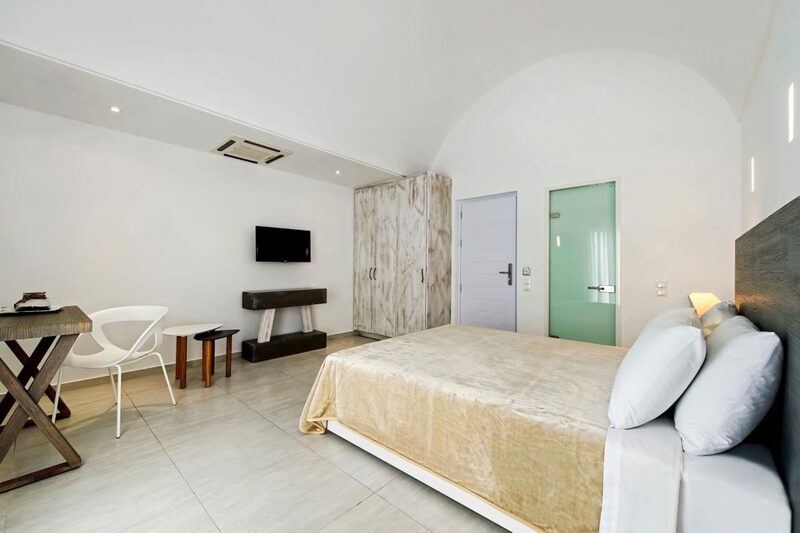 Comfortable room size 25sq m, bathroom with a shower or bath. 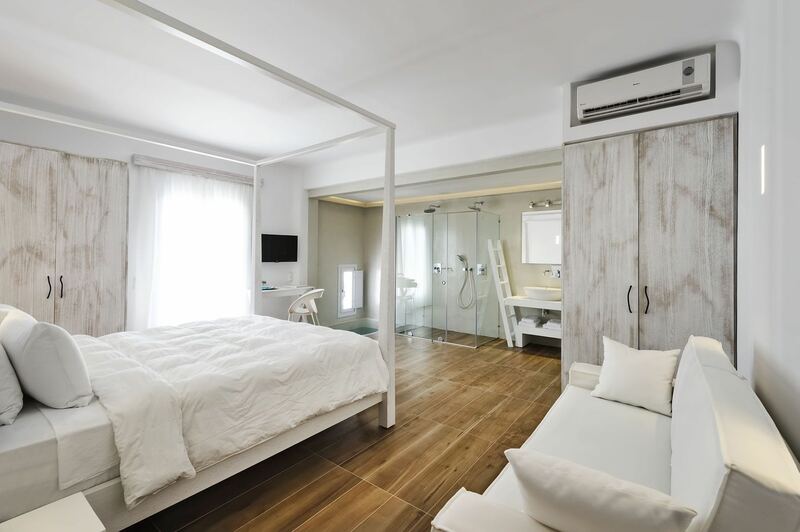 Spacious suite size 35sq m, bathroom with a shower or bath. 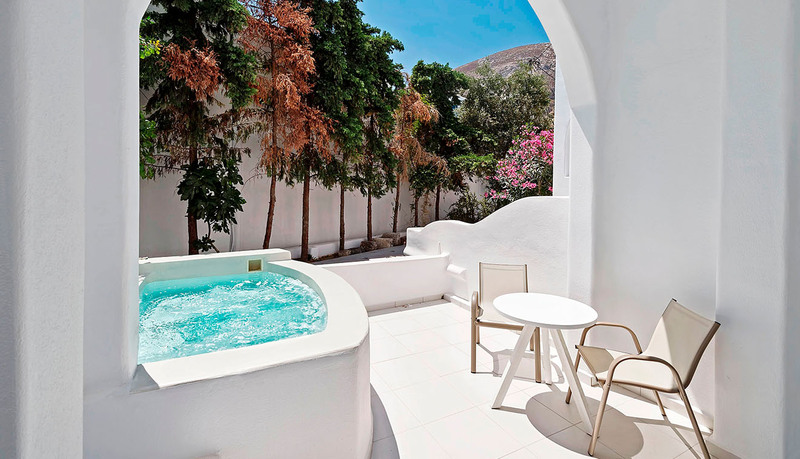 Terrace with outdoor private jacuzzi tub. 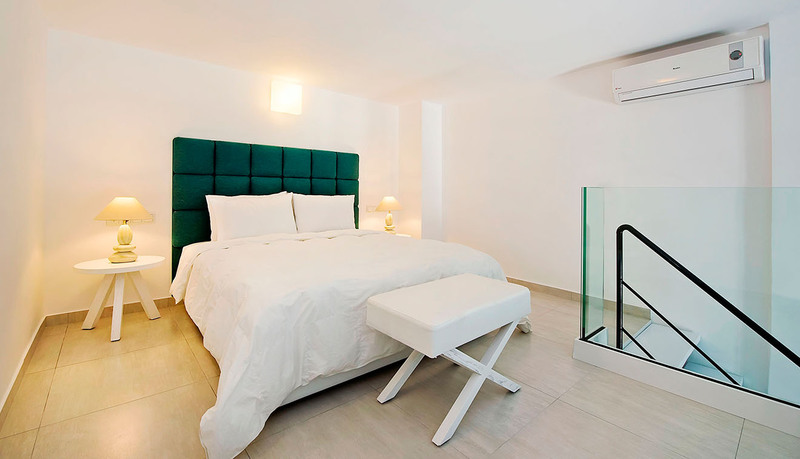 Spacious suite size 45sq m with mezzanine double bed, sofa bed in sitting area. 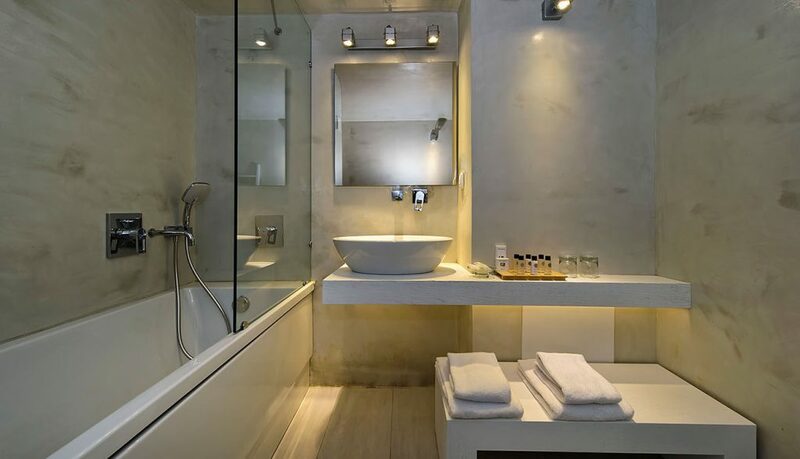 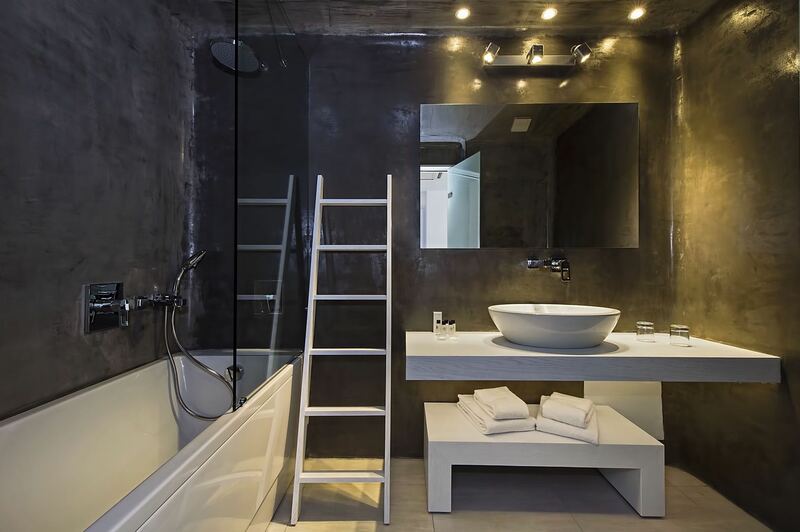 Modern bathroom with bathtub and over a shower. 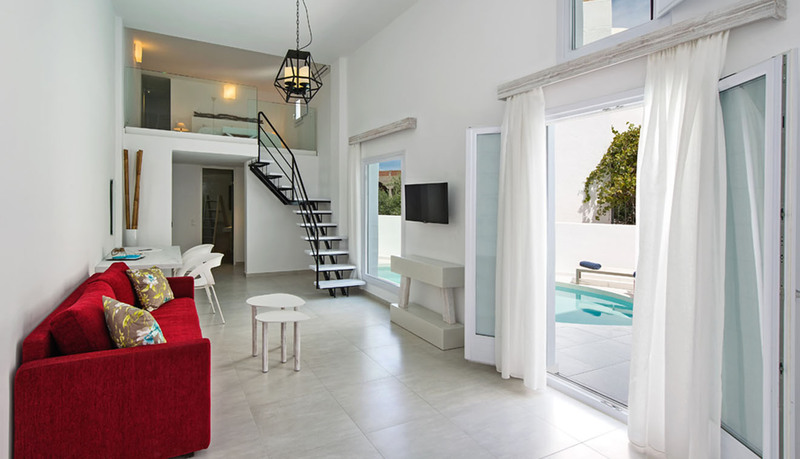 Stylish honeymoon suite with 40sqm area with a double bedroom and sitting area. 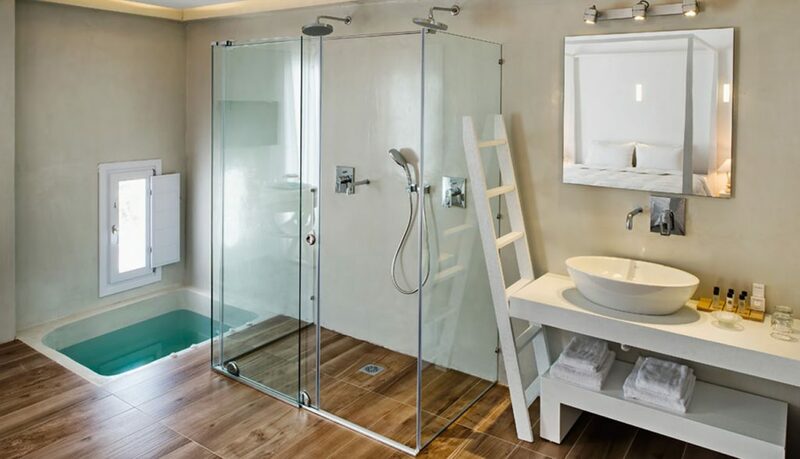 Bathroom with a double glass shower cabin and an indoor jacuzzi tub. 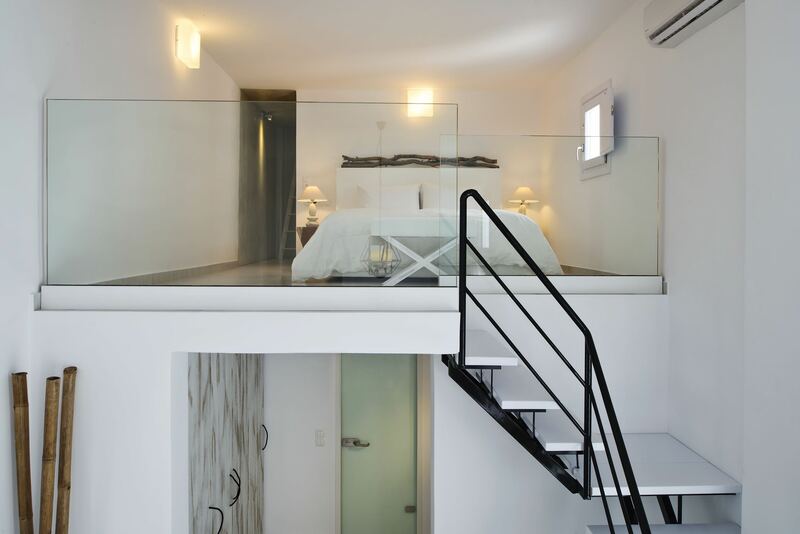 Spacious suite of 45-60sq m with open plan loft double bed. 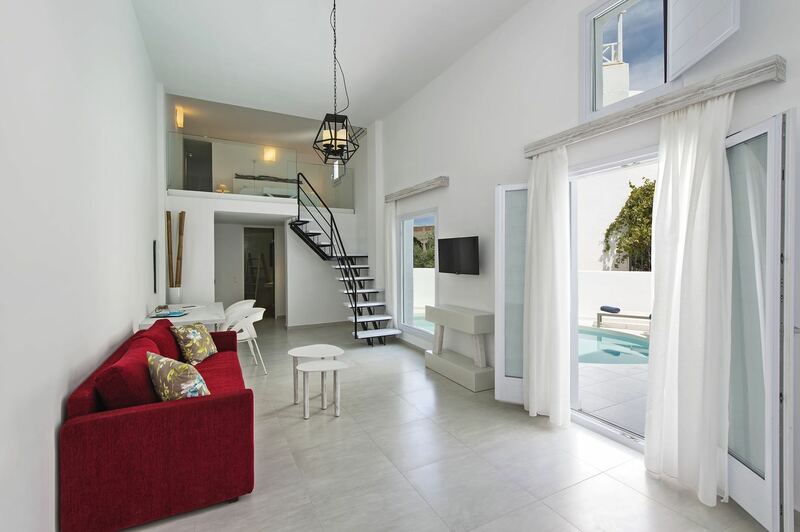 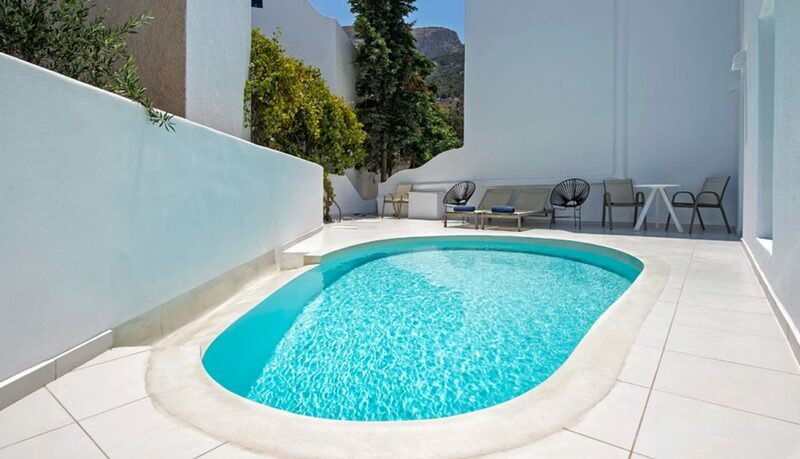 Sitting area with a double sofa bed + Adjoining terrace with a private pool terrace.